One dilemma for many college students is where they will work over the summer. I am a senior English major, so I wanted to have some sort of job that would be applicable to my future career plans. I asked Katy Van Arsdale, the special collections librarian here at PUC, if she needed help in the archives during the summer months and lucky for me, she did. My main project over the duration of the summer was cleaning, digitizing, and curating an exhibit of early 20th century PUC magic lantern slides. Magic lantern slides were used to display photographs and other images from the 18th-mid-20th centuries. The PUC slides I worked with displayed a wide range of images from early PUC history—like groups of students, classroom scenes, and views of campus. At the beginning of the summer, Katy gave me a large box of these lantern slides in disintegrating wooden boxes, and it was my job to clean them and transfer the slides to proper archival storage. It took quite a bit of time to go through every slide; each which needed the dirt brushed off, excess grime cleaned with deionized water, and then they were placed in individual paper enclosures. 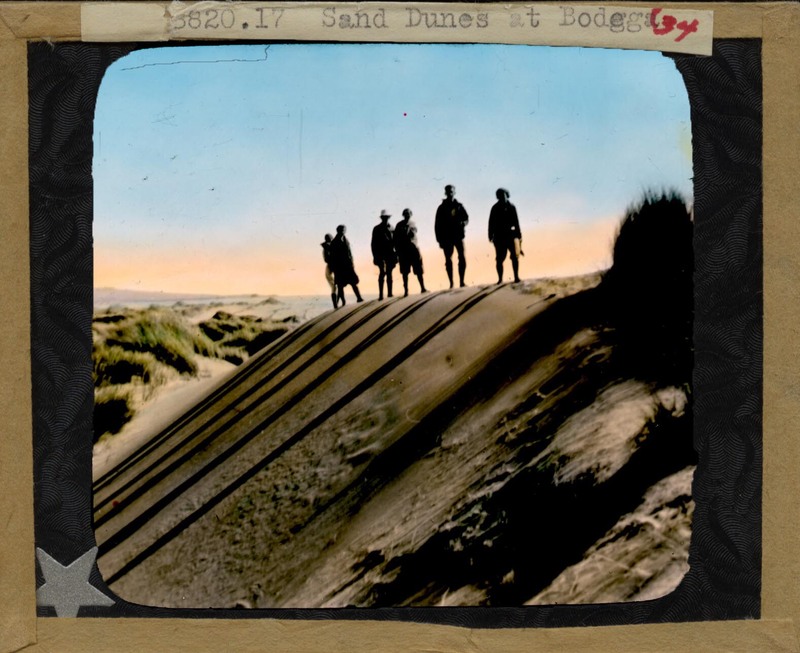 PUC students visit Bodega Bay sand dunes as part of Dr. Clark’s Field Nature School, summer 1934. The next step in the process was to digitize the collection. 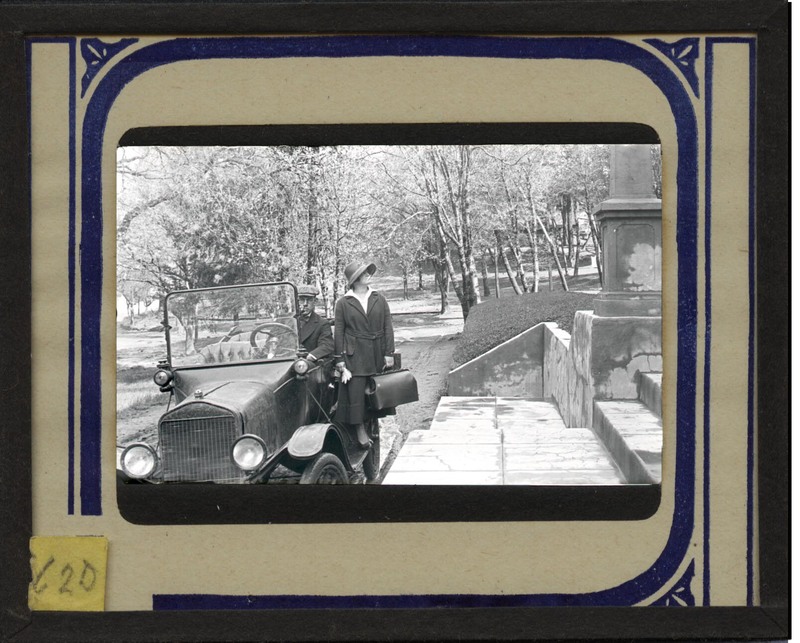 Lantern slides are difficult to scan; the different portions—the transparent interior image and the exterior slide frame—have to be scanned separately in order for both to be viewable. On the scanned images, I used Photoshop to make both portions of the digitized version of the slides simultaneously viewable. In total, I cleaned and digitized around 450 slides. After all of the slides were scanned, I curated a small exhibit of these lantern slides for display in the library. Soon the entire digitized collection will be viewable on the Adventist Digital Library. 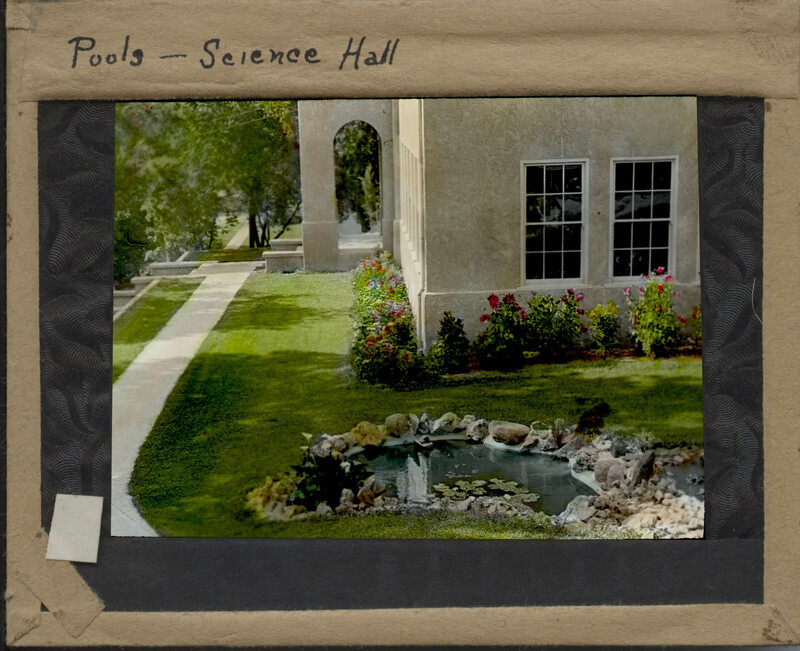 Landscaping and pools between Clark Hall and Irwin Hall, where the greenhouse now stands. Probably photographed in the 1930s. Working with this collection of lantern slides and in the library archives in general over the summer was such a great experience. It gave me a taste of the type of work that archivists do and information about historical artifacts I wouldn’t have learned about in such a hands-on manner otherwise. Research for my senior thesis project has lead me to look into some online archive collections and it’s fascinating to know how these collections might have been produced and that I had a hand in putting together a similar collection for the PUC archive. PUC student poses at the base of the Graf Hall steps, probably in the 1930s.